Beautiful colorful daisies, to give a bouquet simple and elegant at the same time, a flower simple but highly effective. Send this bouquet of colorful daisies, for friendship, for love, to thank. 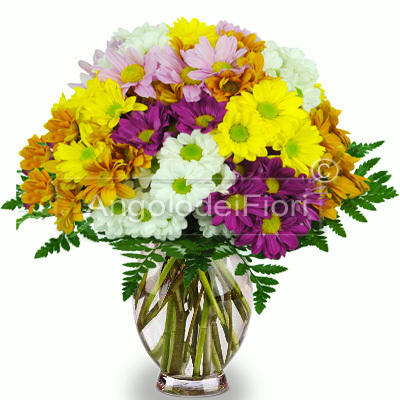 This bouquet includes mixed daisies in various colors.